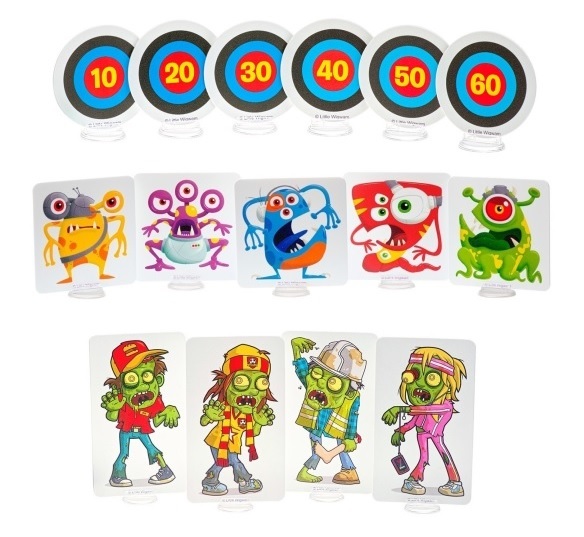 Our huge megapack consists of all 3 sets - Skill Level 1 Zombies, Skill Level 2 Aliens and Skill Level 3 Bullseye targets - start with the largest Zombie targets and as you improve move on through the Alien targets before trying out the smaller Bullseye targets that are for snipers only! Use them indoors or outdoors (although they can obviously blow over in windy weather! 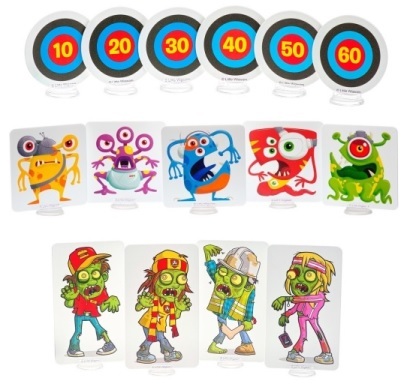 ), keep them in their stands or fix them to a wall... challenge your friends to see who can get the highest score, Bullseye targets range from 10 to 60 points!